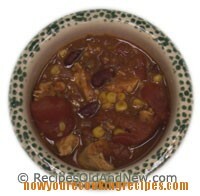 Chicken Chili - Now....you're cooking! Make this in the slow cooker on a cold blustery day. There is nothing like the smell of chili cooking to warm your day. 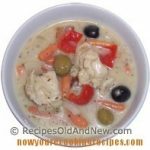 Cut chicken into bite size pieces and place in slow cooker. Cook on low setting for 6 to 8 hours. Garnish with grated Cheddar cheese and sour cream if desired. 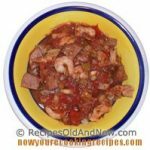 Great served with tortilla chips or corn bread. Make this in the slow cooker on a cold blustery day.